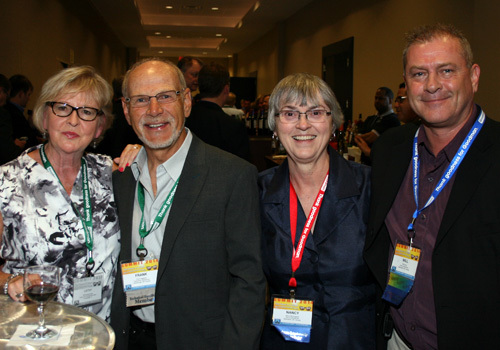 When National Comfort Institute (NCI) members and guests came to Summit 2014, they were greeted with a carefully designed technical and business-oriented educational program that addressed specific challenges facing performance-based contractors. With the help of NCI instructors, along with business and technical tools provided by NCI, contractors left the Summit with specific, practical solutions based on NCI’s unique Performance-Based Contracting™ 4-Dimensional Business Model which was originally introduced at the NCI 2013 Summit. Target Your Ideal Customers – Who is your company's "ideal" customer and what do they look like? Where are your best customers located? What products and services do they need, want and deserve? Understanding and focusing on the customers that your team is best prepared to serve will result in many more happy people and a much more profitable business. During this session, you'll learn how to zero in on your ideal customer base and be sure that the practices you need to support your customer base are in place. - This session includes new tools you can use to zero in on the demographics and characteristics of your ideal customers. Protect & Grow Your Customer Base – Are you neglecting your current customers while trying to grow your customer base? Every profitable business owner recognizes that it costs much more to attract new customers than it does to take care of existing customers. What are you doing to protect your current customers from your competition? When existing customers are happy with your products and services, they'll help you grow your business through positive referrals. During this session, you'll learn how to implement a marketing plan that will help you protect your customer base from your competition and grow through referrals. - In this session you'll receive tools to guide you through the planning process and assist you with the implementation of a marketing plan designed to meet your specific goals. You will also get some great customizable marketing materials aimed at promoting your Performance-Based approach to service and system sales. Measure Customer Retention & Growth – What constitutes an "active" customer in your business? How many active customers do you currently have? How many potential customers are located in your service area? What is your market share? How many customers did you have this time last year? How does that compare to today? Are you heading in the right direction? Understanding the importance of measuring your customer base on a regular basis is critical to your long term success. During this session, you'll be taught methods to track your customer base to be sure you are keeping your fair share and growing at a rate that makes sense. - Participants will receive some new resources including tracking worksheets developed to measure the success of your marketing, customer outreach and retention plans to grow your following of loyal customers. Advanced System Pressure Diagnostics – There's so much more to pressure diagnostics than Total External Static Pressure. This advanced session features a live hands-on HVAC system that will enable you to perform in-depth static pressure diagnostics. These tests will help you quickly identify and solve many unseen issues that prevent HVAC systems from performing properly. Learn to assess duct size and installation quality with a single 30 second pressure test. Master the art of applying NCI's static pressure budgets to any system in the field. - Participants will receive an NCI System Performance Field Reference Guide containing illustrations, forms and test procedures to guide you through the advanced field measurement techniques learned in this session. Advanced System Airflow Diagnostics – Experience the latest advancements in test instrument technology using a full sized hands-on HVAC system in this fully interactive session. Learn how to use the latest data logging test instruments to capture real time system temperature, pressure and electrical profiles and then download them to your laptop. Experience the increased accuracy available using the latest high-quality, low-cost instruments. - Session participants will receive a NCI Air Balance Field Reference Guide containing illustrations, forms and test procedures that you can put to immediate use in the field as you perform airflow testing and air balancing and apply the latest field measurement techniques learned in this course. Advanced HVAC System Renovation – Once you've diagnosed a system, the next step is to craft practical solutions that will allow it to meet the level of performance your customer wants and deserves. Traditional design tools are unable to meet these challenging tasks. Come and learn NCI specialty design techniques and system renovation methods that will cut renovation costs and speed up your system upgrades. - Session attendees will leave with a personal CD of NCI's PreLoad™ and EQVerify™ software tools you can use in the field to do a quick block load and select equipment matching the building load during the sales process. Evaluate & Improve Your Field Lead Generation Process – Your most profitable work comes from existing customers. Why? Because existing customers already know you and love you, therefore they are less likely to shop prices with your competition. Is your service and maintenance team looking for opportunities to improve your customer's lives or are they just fixing equipment when it breaks? How many sales leads are being generated by your service and maintenance team? Are they reaching your lead generating goals? In this session, you learn ways to evaluate your team's lead generating performance. - In this session you’ll get some great new tools that will help you both plan your lead generation goals and evaluate your current internal lead generation process. Generate Quality Leads through Service & Maintenance – Are you still relying on the weather or manufacturer-focused marketing programs to generate the majority of your sales leads? Do most of your sales calls involve first-time customers and competing with low-bid contractors? Since your best leads come from your existing customers, doesn't it make sense to focus on generating more sales opportunities through this select group of individuals? During this session, we'll walk you through the process of creating more sales opportunities by simply recording a few pressure and temperature measurements during service calls and then alerting customers of potential problems. - Participate in this session and receive procedures and scripts designed to increase your service and maintenance team's lead generation rate and set up quality Customer Turn Over (CTO) leads with high close rates. Motivate Performance with Scoreboards – How many maintenance agreement customers do you currently have? How many non-agreement customers enrolled in your agreement program this week? What is your average service invoice amount? What additional revenue is being generated through accessory sales? Which service technicians are your top performers and which ones need more training? It's a simple truth - what gets measured gets done. During this session, you'll learn how regularly-updated scoreboards displaying key performance indicators will help improve the performance of your entire service and maintenance team. 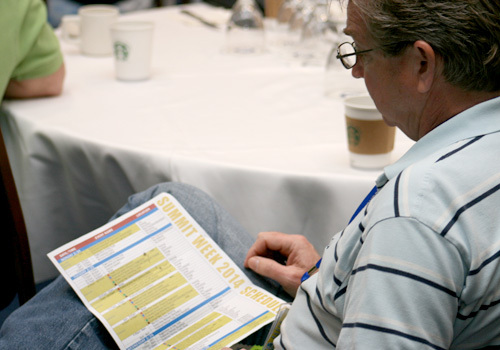 - Conference participants will get digital layouts of scoreboards to use for tracking and measuring the success of lead generation progression as soon as they get home. Blower Doors and Building Loads – This hands-on session includes a live blower door and multiple DG-700 hand held blower door manometers where students will each spend time pressurizing and troubleshooting a live building envelope. 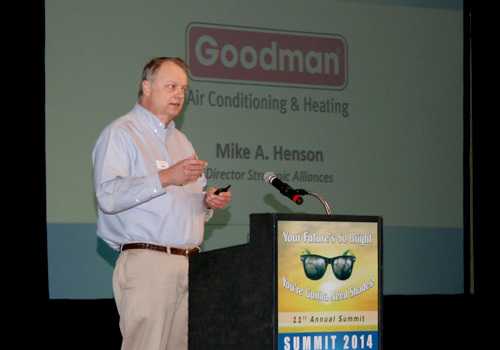 Learn what successful HVAC contractors are doing to incorporate these important envelope tools into their total Home and HVAC system approach. By evaluating the Home and HVAC as a system you can provide your customers with real solutions to their safety, health, comfort and energy efficiency problems. - This session includes diagnostic forms and procedures you can use in your whole-house testing approach, plus many practical ideas for making blower door testing part of your Performance-Based toolbox. Infrared Cameras & R Value Evaluation – Infrared cameras and inexpensive infrared thermometers are valuable tools you can use to troubleshoot and identify otherwise invisible comfort problems. Get hands-on experience with infrared technology by testing a live heated wall, as you learn to teach your customers that the building envelope functions as part of their duct system. Learn how to identify BTU losses through ducts, walls, ceilings and chase ways, and how you can move beyond the HVAC system to solve comfort problems and reduce your customers' energy costs. - Participants will receive several testing procedures and forms including a procedure to measure true R-value of an outside wall. 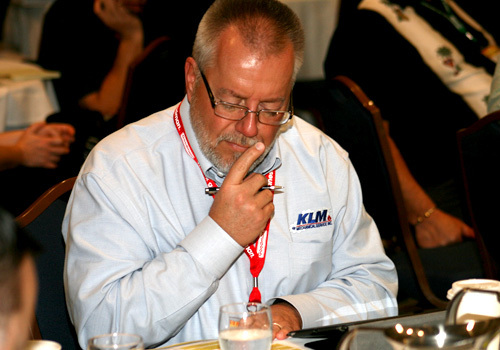 Advanced CO & Combustion Training – Jim Davis has raised the bar once again! CO and Combustion diagnostics have taken a new leap forward and NCI-certified technicians can capitalize on these new simpler and more effective test methods and field repairs. Jump to the next level of diagnostics and improve your ability to prescribe and deliver more effective CO and combustion solutions. Note: Previous NCI CO/Combustion certification recommended. - Certified participants in this training will be the first to receive NCI's new, illustrated, pocket-size CO and Combustion Field Reference Guide containing new test procedures and diagnostic tables complete with illustrations. Cutting-Edge Sales Practices – How many leads does your team convert into sales? 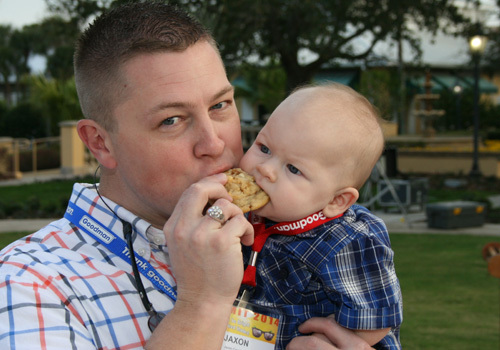 Is your "story" being shared with customers on a consistent basis? Is your team just selling equipment change-outs or do they typically sell complete system renovations? Does your current sales process produce the results you are seeking? During this session, you'll be introduced to a method of evaluation that identifies strengths and weaknesses in your current sales process. - You'll receive new resources to assist in your evaluation process, and hone your sales approach to maximize closing rates and customer retention. Convert Leads to Profitable System Renovations – The "best" sales only occur when your "best" options are on the table. Is your team focused on putting your best foot forward on each and every sales opportunity? Do you have a standardized way to deliver the best possible solutions to address your customer's needs and wants? 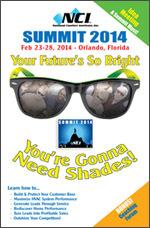 This session will expose you to the NCI System Renovation Sales Process through a live demonstration. We'll walk you through the entire process – from generating the lead to following up after the system renovation – so you can understand how to implement it at your shop. - Participants will get samples and tools to implement a standardized sales process to help close more leads and delight customers. Plan & Measure Profitable Sales Performance – High-performance sales teams understand what their goals are and how to reach them. They also know exactly where they are right now and what it will take to achieve their target results today, this week, this month and this year. Consistently reporting sales results on a public scoreboard helps your entire team stay focused on delivering the results you need to accomplish your business goals. In this session, you'll learn how to sustain profitable sales performance through regularly posting individual and team sales results. - You will receive scoreboard samples to measure and track the effectiveness of your sales team's performance. Refresh your ability to accurately apply NCI test procedures with the balancing hood, manometers and anemometers. Review NCI's practical balancing processes and get reaquainted with how to prepare balancing reports in the office, perform initial inspections, and prepare residential HVAC systems for balancing. Learn to overcome balancing obstacles and use air balance reports to add value to your change-outs and system renovation jobs. Qualifies for 2-year NCI Air Balancing Recertification. Learn advanced troubleshooting techniques for residential and light commercial equipment. NCI CO expert, Jim Davis, will share tips and methods for identifying the top 10 solutions to combustion and CO safety problems. This class is for field personnel with NCI certification and mid-level field experience in CO and combustion testing. Qualifies for 2-year NCI Recertification. Quiz: How do you plan for profit? A - On purpose, or B - just try make it happen as you go along? You don't have to be a CPA to plan for your business! In this highly interactive class, you'll learn the four simple phases needed to plan for the net profit and growth you want to see in the coming year. Learn how to diagnose comfort, health, safety and energy efficiency problems, generate leads and sell profitable and effective solutions. You'll get the technical knowledge you need to deliver as much as a 30% improvement in system performance, delight your customers and increase your profits. Qualifies for NCI Air Balancing Recertification. Invest two days in learning a revolutionary sales process that will help you achieve the business results you've always dreamed of. Taking this class is the first step in creating a high performance sales team with improved lead generation, better closing rates, higher average sales, and more maintenance agreement customers. Discover how to create a method that streamlines your installation process and assures quality control and customer satisfaction on every job. You'll find this concept provides maximum profitability and a culture of teamwork designed to take care of your customers and your company, now and for the future. A great winter getaway for the entire family! 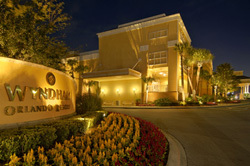 Summit 2014 will be held at the Wyndham Orlando Resort International Drive which is located on International Drive near shopping, restaurants, and popular attractions. You will find it easy to access the best the area has to offer with complimentary shuttle service to and from Universal Studios and Sea World theme parks. The pet-friendly resort provides many family-friendly services and amenities including two heated swimming pools (all open 24 hours), a jogging path and a fitness center. Reserve Your Room As Soon As Possible To Get The Best Rate! Click here to reserve your room online. Or call 407-351-2420 and ask for the special National Comfort Institute rate of $139 for a single or double.